Software training that you can afford -- learn tricks in Outlook, Word, and Excel to make your work day easier! We offer daytime and evening classes in Microsoft Office 365 applications Word, Excel, Outlook, and PowerPoint. Week 1: Setting up your email window in Outlook. Sending email. Adding Attachments. Creating Custom Signatures. Week 3: Creating folders. Creating mail filters. Using email filters. Week 4: Making Calendars. Creating Appointments. Sending Invitations. Week 5: Creating Tasks. Assigning Tasks. 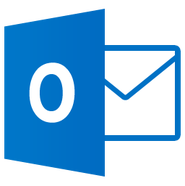 Week 6: Adding additional email accounts to Outlook. POP vs IMAP. Customizing Outlook Options. Week 7: Outlook for iPhone and Android. Week 8: Review of all features. Q&A.